For God’s Sake, Don’t Drink the Kool Aid! I looked up from my phone. “You know what that means, don’t you?” I asked. “It’s just an expression,” she replied. Poor deluded girl. It refers of to the Jonestown tragedy. 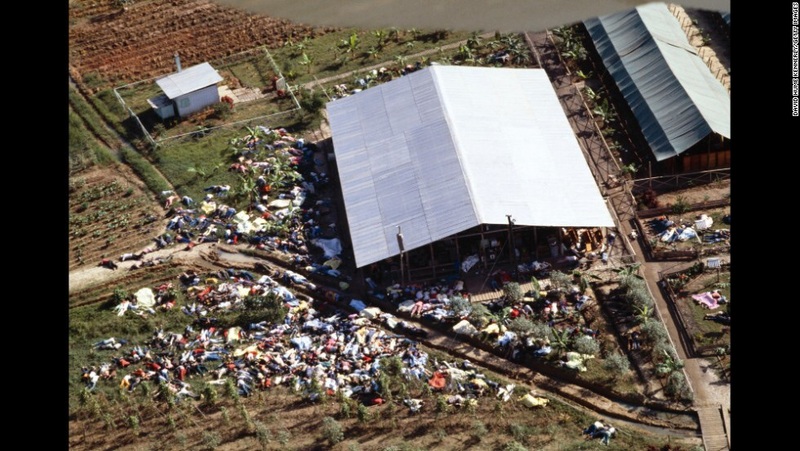 Jonestown was a commune established in Guyana by the People’s Temple Cult and its leader, Jim Jones. After the murder of Congressman Leo Ryan, who went there to determine if people were there of their own freewill, the cult members either voluntarily or by force drank juice laced with cyanide. In all, 909 people died, including 190 children. This is not the Kool Aid you want people in your organization to be drinking. I was only 10 years old, but I recall the vivid images on the nightly newscasts. Hundreds of bodies spread across the ground. It dominated the news for days. Then again, I was born after Pearl Harbor, the Cuban Missile Crisis and JFK’s assassination, so I shouldn’t be so harsh. Not only is this reference to the victims of the tragedy (no one would put the motto, Work Will Set You Free over their doors), I found it curious that this woman thought drinking the Kool-Aid, i.e. getting on board with everyone else, was somehow a good thing, even if you didn’t end up dead in a South American jungle. Organizations want to hire people who are a cultural fit, who can easily adapt to their way of doing things. Why they want this is simple. These people don’t upset the status quo. As much as most organizations hail their cultures of change, they do not really want it, unless of course, it was their idea in the first place. Change is unknown, and therefore hard and scary. By our very nature we want stability and reliability. We especially hate change that comes from the outside. These newcomers do nothing but cause trouble, and managers hate trouble-makers. I had one manager say it drove him nuts when new employees said things like, “At my last company we did it this way,” or, “That’s not how we used to do it where I used to work.” It challenged him and the systems he set up. It made him feel that maybe he wasn’t as good as he thought he was. The only advice I give to people who do say things like this is, learn how we do things first, then bring up your ideas. They’ll go over much better because by then you’ll be one of us, and it won’t seem so threatening. While change may be painful, it is necessary to thrive. Do you know of anyone who was truly successful by doing what everyone had done before them, whether it was in the realm of art, sports or business? And if your organization is going to change, you need people to come in who don’t just follow orders, but challenge those orders when they don’t make sense. We onboard employees at my work, of course. We let them know about our pay and benefits, our expectations, and our culture. But we also tell them that just as they learn from us, we want to learn from them. We make it easy for them to bring us their ideas, their views. We want them to change our way of thinking just as they are changing theirs. Kool-Aid, even without the cyanide, is nothing but flavored sugar-water. We don’t want our employees drinking that. We want them to throw a bunch of fruits and vegetables into a blender and come up with their own drink. One that may not be easy to swallow, but is good for us all the same.